A friend of mine’s Mom recently passed away. Today is the funeral. It will be hard to say goodbye to a sweet, kind woman who lovingly raised her family and whom I knew well. When we lose a parent, no matter the relationship, it’s hard. On many levels, it’s complicated and the tears that fall are mixed with so many emotions. Even though we may know that the end is coming, it is still seemingly a shock to us when it happens and we’re left broken. Even when one can say, She lived a good life and it was time for her to go home to God, it doesn’t change the fact that she has passed away and is no longer here on earth. I don’t like to hear that saying. I can’t help myself. I know people mean well when they say it, but it still just feels wrong to me for some sensitive reason that I don’t think I can actually name. I’ve lost a parent so I understand and now at this age, other friends have lost parents as well. So we have formed a group of parentless adult children who are helping each other to endure the sadness. We support each other. We hug with the understanding of how it feels. We help each other through the hard times. Isn’t that what life is about? It’s Memorial Day. Everywhere I look it seems I see flags flying high and parades of proud Americans marching in honor of Memorial Day. Today we are reminded of the sadness in memory of our fallen who served our country. We remember. I remember. I take a few minutes this morning with my coffee to remember those who have gone before me and even those who are still here who have served our country. I have a lot of family who served our country. Some are still here, others have passed away. But each one of them proudly served and were changed by their experiences. To have a day set aside in ceremony to honor them warms my heart. When I try to think about the sacrifices that those in the military have given up for us, it feels unimaginable. The changes that seem to occur through their unique experiences holds such a tender spot in my heart for I know I cannot even begin to fathom what they’ve endured, when they have seen battles and even when they haven’t. I imagine the changes in psyche that occur for those in military service. It cannot be otherwise the civilian in me thinks. Just the training and mindset to be willing to serve our country and the courage to potentially lay down your life for what you believe in and for countless strangers and citizens. I’m in awe. I’m honored. So please accept my humble thank you to all on this day. I remember you. Guilt and shame are powerful emotions. In the name of guilt and shame, people often choose differently. For example, if you’re guilty for doing something wrong, you’d probably ask for forgiveness. But sometimes, if you’re feeling ashamed, you might lash out in anger and be defensive. Guilt and shame do things to people that other emotions don’t seem to in life. While I haven’t read the book from Brené Brown yet, I have every intention of doing so because I find the topic so interesting. Here’s a TED talk from Brené Brown which I found eye-opening! Human beings are so complex, aren’t we? Emotionally, mentally and physically, I’m fascinated by how people think, feel and react. I think I should have studied more psychology when I was younger because the mind’s complexity continues to enthrall me with all its intricacies. If we are going to find our way back to each other, vulnerability is going to be that path. Sending you love from my heartlight today in case you’re in need of a little comfort. The bumble bee encounter had me buzzing with life’s renewal and the lightness of being that seems to surround me when that smell of spring is in the air. But yesterday afternoon, when I returned home, I came across a little bird in the driveway. I have always said that the animal kingdom brings me messages and this one is no exception. Except I am not quite sure the meaning. He looks peaceful so I can’t determine how or why the tiny bird is deceased. (So, yes, I’ve arbitrarily decided it’s a he). There are no signs of an abrupt attack. Why he is in the driveway and not on the adjacent grass is curious to me as well. Even though I did take a photo of him, it seemed too sad for me to post, so I chose another photo of a similarly looking bird today. For me, he is a reminder that with life comes death and all that encompasses the in-between. We learn these lessons as we grow and explore the meaning of our lives. So many times we take for granted what is and forget that life is precious – to be enjoyed, to be shared with love and to be cognizant of that delicate balance between the past, the present and the unknown future. I also feel that spiritually for me, it signifies the end and the preparation of a new beginning for the next chapter in my life. Do you feel that way too? I am not even sure what type of little bird he is – perhaps a sparrow? I said a small prayer for him, gave thanks for his presence and interred him in the backyard by myself. I wonder if he has any loved ones who worried when he didn’t return to the nest last night? Is there a mama or partner bird who is mourning the loss of her love? Be sweet today. A gentle reminder to hug and love on those for whom you care so deeply. We only have today, so take the gift of The Presents of Presence, not for granted, but with the deep understanding that resides in your heartlight. What’s your favorite music to listen to or are you like me and enjoy all different types of music? I have varied tastes in music from today’s music, to that of my youth, to the music that our parents listened to, to classical piano music, to country, to gospel, to traditional church hymns, all the way to Broadway show-tunes. The two types of music I haven’t ever really enjoyed are rap and opera, but perhaps they will reveal themselves to me one day. 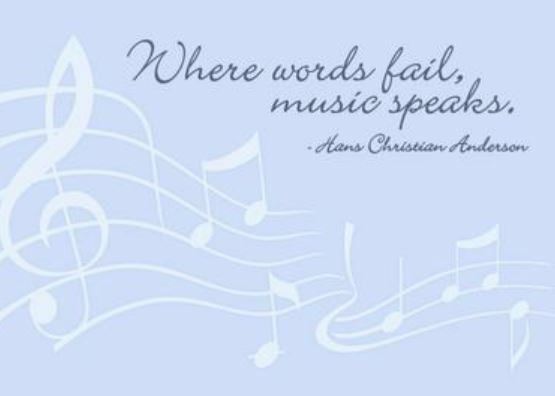 I find that music soothes me in many different situations as I believe music has a vibration of its own to aid our heartlight through healing, lifting, inspiring, energizing and stilling us in contemplative melancholy to flow throughout our lifetimes. While I enjoy the sound of silence and of snow falling, I often use music during the day to help me. I am grateful that I can hear and feel the vibrations in my soul. I love to explore the feelings I get when I hear different types of music. Don’t you? While I am not a good singer, I do enjoy belting out a good song every once in awhile, especially in the car on a long highway when I’m alone. It just feels good. Do you know what I mean? Certain songs can bring me back to special memories and I do feel that when I put my songs on shuffle, I’m given messages through God and the Universe. For example, when Unforgettable, sung by Natalie Cole and her dad, Nat King Cole comes on, I know that is a message from my Dad to me, as that was the song we danced to at my wedding. Perhaps it’s simply coincidence or a random synchronicity, but I prefer to believe otherwise. Do you feel something similar? Do you have any favorites that you hold dear to heart? Please share! I know of many people who are affected by the moon and its cycles, not to mention eclipses, astrological changes and the equinoxes. As we begin to move from 3D to 5D, there’s an increase in energetic shifts and for some of us, we are sensitive to the changes. Are you one of them as well? I’ve seen it in my family members who are more confused recently. I’ve seen it in horseback riding as my trusty Ty was out of sorts when I rode him this week. I’ve seen it with our pets as they are more on edge and needier than usual. In chatting with friends lately, it seems that the surge of instability and sensitivity of our moods has increased lately. A quickening in anger and frustration along with tearful grieving seem to ebb and flow into normally calm people at a moment’s notice without warning. Not to mention those who are on either end of the spectrum emotionally. It’s like the energy in the world is fluctuating at such dramatic heights and dips that there’s a storm brewing and we need to seek shelter and balance in our lives. With the recent full moon, the lack of love and understanding is causing much unrest and balance is desperately needed. So if you’re feeling lost at sea lately, you’re not alone. But how do you anchor yourself with balance and love to be the port to help others who are tossed in the turmoil? Meditation helps. Calm interaction with others is necessary. Fear intensifies the messy storm so steer clear and send out your heartlights first before engaging with others who show even the subtlest signs of being affected negatively by the energetic storms brewing now. Rest your body, mind and soul. Nourish them all with higher vibrations and associate yourself with those who embrace love, understanding and kindness. Hold closely your loving soul family members. Reach out when you’re feeling low. Take the necessary time when you’re feeling depleted so that you can recharge your heartlight. If you’re suffering, reach out to someone who cares and allow them to help you. But please, do not use your suffering to make them suffer along with you. Allow them to lift you. Don’t drag them into the negativity. Pray. Listen to spiritual music. Eat heart healthy meals. Drink plenty of water. Stay away from negatively charged beverages/foods such as alcohol. You don’t need to add to what may be negatively churning up in you to be affected even more by drinking or over-eating. Exercise. Commune with Nature. Read something that makes you feel good. Watch a feel good show. Spend some quality time alone gardening or writing in your journal. Sing music that makes you smile and uplifts your mood. Spend time with your family and pets. There’s nothing better than a heartfelt hug to shift your mood. There’s also what we call fur therapy (petting your sweet pets) and absorbing their peaceful energy into your heart. Don’t be tempted to start a fight with someone else whom you’ve been meaning to give a piece of your mind. It won’t fare well for either of you. Stay clear from anxiety issues. We are riding out the fluctuations of energy changes as they open up to a myriad of possibilities in the near future. So relax into the experience. Steer yourself into calm waters and do your best to enjoy the ride.